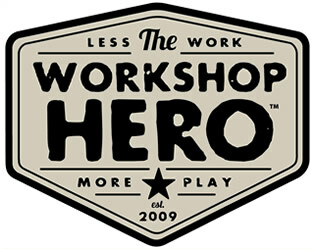 Workshop Hero™, the consumer division of Armor Protective Packaging®, is a cutting-edge line of rust preventative and rust removal products designed to take the “work” out of workshop! Workshop Hero™ products Metal Rescue™ Rust Remover Bath and Dry Coat™ Rust Preventative are clean, safe, easy to use and are built on ARMOR’s foundation of more than 35-year history in providing expert corrosion management products and services to Fortune 500™ companies all over the world. Whether your workshop is a garage, a potting shed or a workbench in your “man cave”, the Workshop Hero™ line of products will take the “work” out of your workshop! Metal Rescue™ Rust Remover Bath is your clean, safe and easy solution to removing rust from iron and steel. When we say “safe on everything except rust” we mean it! Metal Rescue™ Rust Remover Bath will take rust off the most heavily corroded metal parts, yet is safe enough that you can put your bare hands into it. Just soak, check and rinse/dry. It’s that simple! 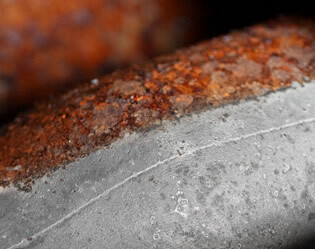 Dry Coat™ Rust Preventative is a water-based liquid RP for ferrous metals. 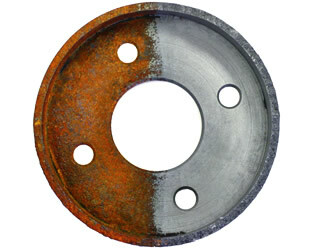 This water-based product is a significant advancement in corrosion prevention technology that replaces solvent and oil-based corrosion inhibitors. Once applied, the clear protective coating will dry-to-touch within 30 minutes at ambient conditions. It does not attract dirt or dust on metal parts such as other sticky or tacky products. It is non-hazardous and easily washes off using mild detergents or common metal cleaning solutions. Dry Coat™ is safe to use on ferrous metals, stainless steel and will not harm most elastomers or plastics. 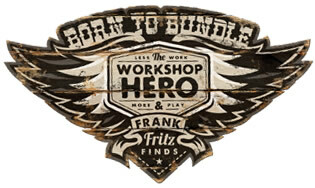 Workshop Hero™ teamed up with celebrity Frank Fritz from HISTORY®’s hit TV series American Pickers to serve as its spokesman. Fritz is no stranger to rust. As a picker by trade, he sees first-hand the damage and loss that results from rust and corrosion. This makes Fritz the ideal spokesman to promote the features and benefits of Workshop Hero™ rust removal and rust preventative products. Fritz’s background in antique collection and restoration is extensive. What started as a childhood hobby collecting rocks and beer cans blossomed into his current occupation as full-time picker. A native of Iowa, Fritz spent many years working as a fire and safety inspector and motorcycle safety instructor but he always indulged his passion for antiques and picking in his spare time. 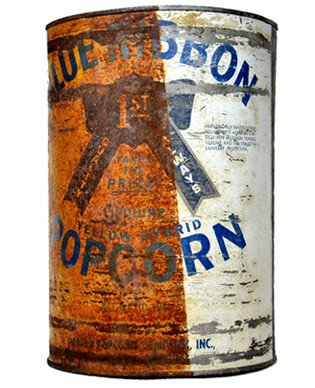 Fritz left his job, took to the road with Mike Wolfe, and on January 18, 2010, American Pickers made its television debut. 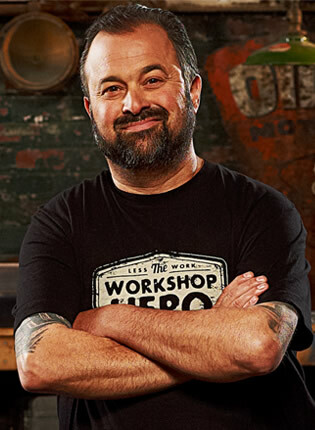 As the co-host of American Pickers, Fritz travels America in search of vintage “treasures.” Among his favorite finds are old toys, signs, cars and motorcycles.